BRYAN EATON/Staff photo. 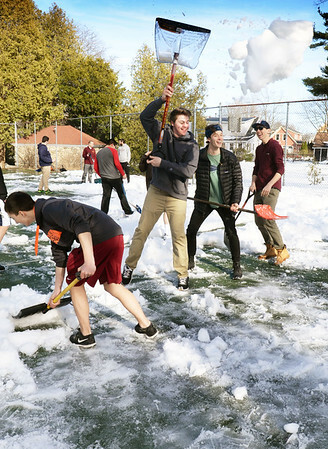 Members of the Newburyport High School tennis team clear off the snow at courts at Atkinson Common on Monday after noon. Coach Ben Laing was hoping that Tuesday's warm temperature would finish the job so they can practice there, their first game not until April vacation.